The Police have obtained an order from the Akkaraipattu Magistrate to evict students and parents blocking the administration building of the South Eastern University, the UGC and Higher Education and Cultural Affairs Ministry said, in a statement issued through the Director General of Information yesterday. The statement said that the allegation that the University administration had closed the administration building is completely false and a travesty of truth.The statement added that earlier, a group of students who committed acts of indiscipline by engaging in ragging and other acts of obstruction were punished according to the gravity and seriousness of their acts.However, they were given an opportunity to appeal against their punishment. The students who were punished are trying to resolve their problem by force by trying to hide their wrongful acts, the statement said.A majority of students in the technology faculty were completely against these acts of indiscipline committed by a handful of students and opposed any moves to restore the studentship of the students who had been expelled. They have threatened to even leave the University if these expelled students were taken back. Given this situation, some of the students along with their parents had forcibly entered the administration building on Friday night and barricaded it with chains preventing the Vice Chancellor and other officials from entering the building. 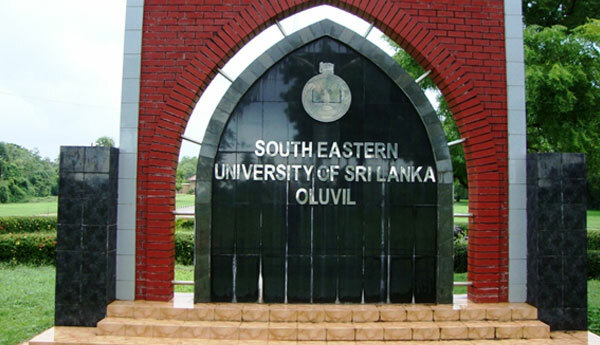 However, academic activities of the South Eastern University are continuing as usual and the Vice Chancellor and his administrative staff are operating from an alternative building, the statement said.